“How can new #technology move from cool invention to true #innovation with #sustainable uptake? @katrinkja@Trilateral_UK reflects on the #codesign approach and its ability to address #userneeds and #societal values. Read her insightful blog here: https://trilateralresearch.co.uk/collaborative-innovation-the-advantages-of-co-design-in-creating-sustainable-technological-solutions/”. “We’ve released our first report that focuses on learnings from #ChangingCARE. We hope they will help you use and adapt what we’ve learned in the hopes of spreading #codesign across #ONHealth. Check lessons from #ChangingCARE: https://www.changefoundation.ca/lessons-changing-care/”. “Connect with me #codesign guide will improve your services to meet the needs of people with #disability. Codesign with a guide, a toolkit and with people with disability. Learn more about codesign and download your free copy! https://www.pwdwa.org/our_campaigns/connect_with_me.html”. “@ECTELconference Co-Creation in Technology-Enhanced Learning (CC-TEL 2018) workshop proceedings are available at http://ceur-ws.org/Vol-2190/ Programme: https://cc-tel.know-center.tugraz.at/”. “#Codesign isn’t just “post-its and pipe cleaners”. It’s #engaging the right people to design effective and actionable policies. Read more in our blog, following Melbourne Uni’s ‘Codesign for policy innovation’ – https://artd.com.au/co-design-gives-voice-to-the-right-people-at-the-right-time/16:212/”. Sept 14, DESIGNBOOM‏: Watch IKEA’s keynote event from democratic design day 2018 in Lugano! Sept 18, Dutch Design Week: Learn more about the #DDW18 (20-28 Oct) Programme! “#DDW18 | PROGRAMME PREVIEW | The What if Lab platform by @DDF_Tweets connects designers and clients to work on challenging questions by co-designing solutions in a specially composed program. Check out all WIL projects via http://instagram.com/dutchdesignweek or at #DDW18, 20-28 October”. “We’re hiring! The @worlddesignorg is looking for a skilled and dynamic candidate to fill the position of Administrative and #Membership Coordinator. For more information: http://wdo.org/about/jobs/#1523789997935-aafb0409-a968 The deadline for applications is 5 October”. 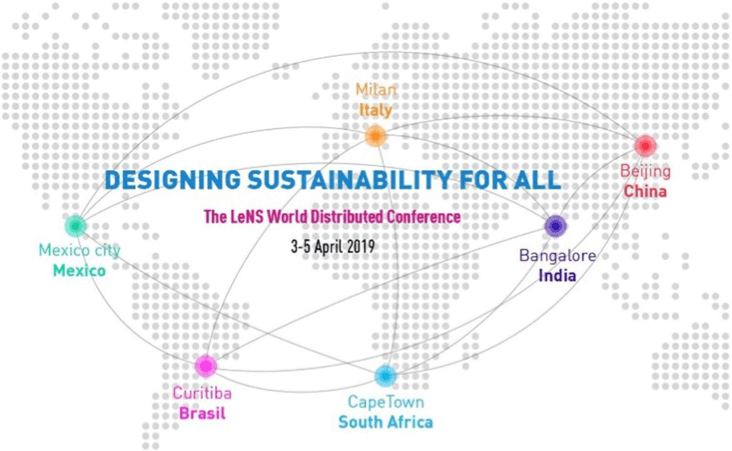 “International Conference ‘Designing Sustainability for All’ is an event focused on #design for #sustainability organized by #LeNS in 6 venues around the world: Beijing, Bangalore, Cape Town, Mexico City, Curitiba and Milan. The call for papers is now open http://www.dipartimentodesign.polimi.it/news/international-conference-designing-sustainability-for-all”.